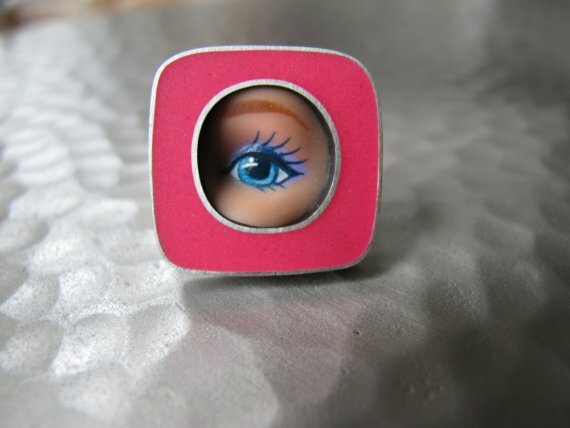 margaux lange must be the andy warhol of today's jewelry artisans because these are hip, modern and make a fun statement about the omnipresence of pop culture images and stereotypical toys for little girls (cinderella ate my daughter any one?*). 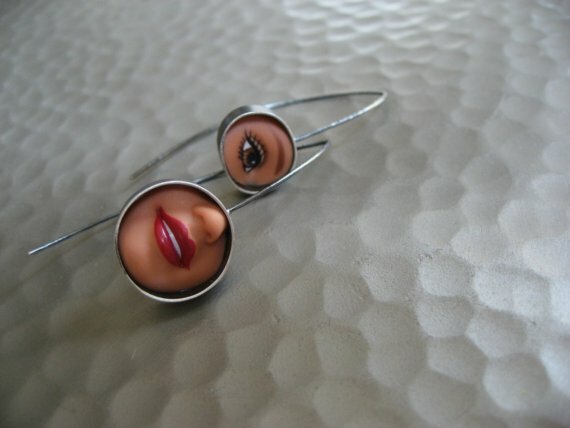 margaux lange makes adorable, rings, earrings, necklaces and brooches using barbie parts, sterling silver and resin. 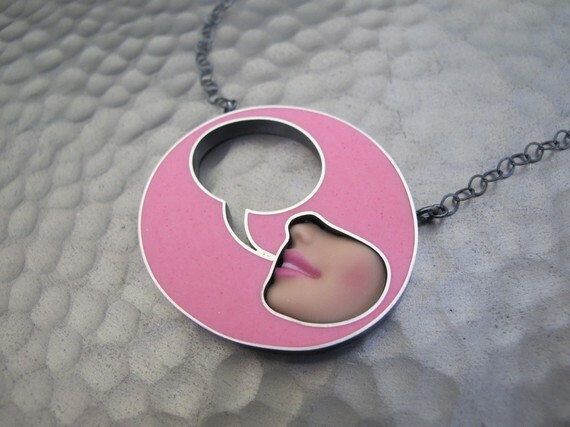 and since i'm a huge pun lover, lange captures my heart with her slogan "re-membering barbie fondly." WOAH!! Those are crazy! I kind like them!